The Austin 10K’r social training routes are Cap10K staff organized runs or walks which are variable in distance, free, open to the public and begin and end at Austin American-Statesman’s West parking lot. Social run route distances vary between 3-6 miles and will be scheduled regularly throughout the year. 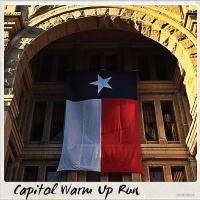 Each meeting will incorporate a creative theme that highlights the culture of Austin and the Cap10K. Maps, bottled water, nutritional bars, high fives and selfies will be shared at each meeting. Baby Joggers and leashed pets always welcome. Join us on Saturday and bring a friend.